Nova Scotia isn’t currently a top priority for the mining industry — last year’s Fraser Institute survey of global mining executives found that the Canadian province scored a relatively low 60.41 on its Investment Attractiveness Index. But if recent trends continue within both the Nova Scotian government and its mining industry, all that might change very soon. Led by Premier Stephen McNeil, Nova Scotia is taking steps to build up its mining infrastructure and create a more hospitable regulatory environment for the growing industry. Along with several mining projects that have taken off within the province, these developments may inspire renewed interest and spark long-term economic growth. In 2016, Nova Scotia overhauled its Mineral Resources Act to grant mining companies more time to explore potentially rich deposits, as well as to ensure that mining projects aren’t held up by government indecision. It extended its fuel tax rebate to include mining the following year, cutting serious overhead for mine, quarry, and open pit sites. 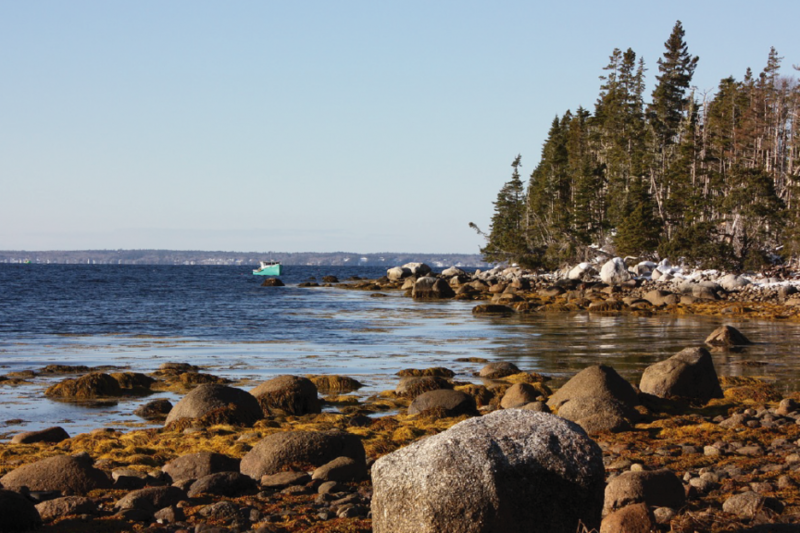 This year, it created a grant program called the Mineral Resources Development Fund, which is working to strengthen Nova Scotia’s mineral database, among other critical projects. Perhaps most importantly, the province has created a new Energy and Mines department to ensure that the twin needs of protecting the environment and growing Nova Scotia’s economy are properly balanced. “It’s about taking a more cohesive approach to economic development opportunities, on land and offshore,” McNeil explained in a statement to the press. These recent changes have made several lucrative gold mining projects possible, including Atlantic Gold’s Moose River Consolidated Project. Meanwhile, Kameron Collieries is selling the coal it produces from Nova Scotia’s Donkin mine to domestic utility companies. These success stories have led companies like Anaconda Mining to express interest in the region, as the industry giant plans to begin pre-production on its Goldboro Gold project by 2020. Anaconda has even gone so far as to create a subsidiary, ExploreCo, dedicated to early-stage exploration in Atlantic Canada. Before Nova Scotia can generate any significant momentum, these budding coal and metal mining projects will have to demonstrate that they can reliably turn a profit. While early results indicate that the province has rich reserves waiting to be tapped, it will take more than productivity for companies like Anaconda to generate results — it will take meticulous dedication on the part of mining companies to keeping overhead costs down. Part of that effort will have to include vigilance against the costs that can be incurred by improper dust control. Mining operations that don’t implement proper dust control must contend with the possibility of serious fines from regulatory agencies, as well as prohibitive costs associated with maintaining their haul and access roads. With over 40 years of experience in the metal mining industry, Midwest Industrial Supply, Inc. has the expertise needed to protect these businesses from the profit-killing burden of fugitive dust. Our industry-leading product EK35® settles into the surface of haul and access roads and traps any fines within it, binding to the aggregate and preventing fugitive fines from escaping. Because they are completely non-toxic and environmentally friendly, our products ensure that mining companies aren’t unnecessarily fined for violating environmental or labor regulations. Conditions look near-perfect for mining in Nova Scotia, but without the proper maintenance strategies, mining businesses won’t be able to capitalize on them. By implementing one of Midwest’s innovative dust control strategies, mining businesses will be able to make the most of the opportunities that are now available in Atlantic Canada.